The Red Soul (SOFA MUSIC SOFA562) is effectively a film soundtrack, here presented as an album and credited to the main composer Rutger Zuydervelt and his able collaborators Ilia Belorukov and René Aquarius. I think even if you played this “blind” you’d sense immediately that it had a life elsewhere on the sound track to a movie, as there are subtle narrative clues buried everywhere, lots of suggestive content and samples, and the record almost tells a story on its own terms. It’s also evocative and strangely beautiful, and before we get into the detail of the record I’ll recommend it to all followers of the contentious and disputed “hauntology” genre. If you want ghostly ambient sounds, lulling repetitions, and disembodied voices in your listening diet, look no further. Dutch film-maker Jessica Gorter made The Red Soul. I have never seen this film. It was released in 2017 and appears to be a follow-up to her earlier effort, 900 Days, her 2011 documentary about the Leningrad blockade, a film which won numerous plaudits. I’m already sensing she has her own take on history and makes a good case for what she believes. 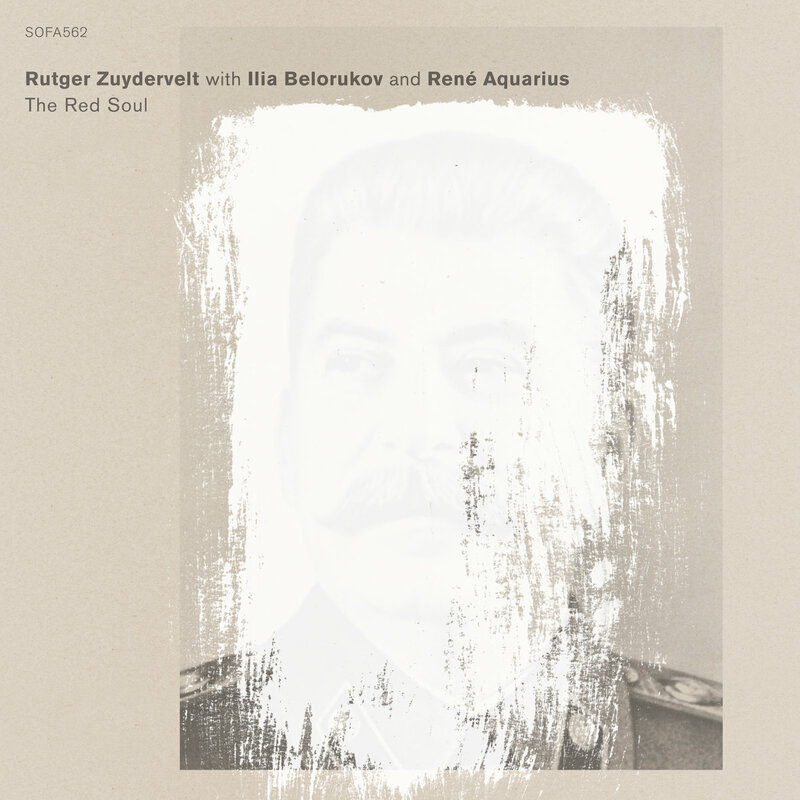 The Red Soul is to do with the legacy of Stalin, trying to come to terms with a massive stain on history which is now becoming a buried trauma, embedded deep in the Russian psyche. If you’re looking for pain, disaster and mass deaths as benchmarks of significance in 20th century history, it’s arguable that Stalin far outstripped the Nazi regime in his achievements. 1 The world is still trying to “process” Hitler and the death camps as we uncover more archival evidence and more stories are learned (the opening of the Holocaust Museum in Berlin was one notable step in this healing process, if we can call it that). As to Gorter: “I’ve been fascinated by the fact that there is no equivocal truth,” is her statement. “The main insight I gained in making this film is that repression can be a necessary survival strategy…it may not make history any easier, but it does make it more intriguing.” Without having seen the film, I think we can surmise that her achievement has been as much to do with psychology as documentary film-making; she seems to be trying to probe at the nature of memory itself, taking on the formidable task of going back decades, seeking out traces of damage to a collective psyche. Or, perhaps one had better agree with the creators and use the word “soul”, an entity which is arguably far more complex and deep. The subtle and investigative nature of Gorter’s work is amply reflected in the grooves of this understated record. Every aural statement made by the creators is provisional. “They quickly agreed that the score needed to be very subtle and not…overdramatic” was the nature of the creative partnership, as recounted by the press release. One starting point is samples from old records; a speech from Stalin on a bakelite LP, and “a few old LPs with Soviet songs”. At certain moments, sad voices raised in song do indeed waft out from the wispy ambient atmospheres of the record. If you think that strategy sounds corny already, please listen first; you’ve rarely heard this technique executed with such sensitivity and dignity. The samples are also highly transformed, in the sort of contemporary processing which Zuydervelt does so seamlessly, barely leaving a trace of his efforts. Add to this the saxophone drones of Ilia Belorukov (he sounds pained, wounded; almost unbearably so) and you have a powerful and melancholy record, and an unusual one. We often think of ambient music as being “dreamy”, but given the subject matter and Gorter’s documentary underpinning The Red Soul, I’ll step up and declare this is no dream; the record in fact is a steady contemplation of truth and reality, viewed through the prism of human memory, in an honest and compassionate fashion. From 19th January 2018.